Free shipping is available on all Australian orders. Local Pickup: Receive a complimentary bag of coffee beans plus a bonus one-on-one training session at Elixir Coffee HQ when you collect your package from our Stafford store. More information below. The “Rolls-Royce among filter holder machines” and multiple test winner. Stainless steel body in exquisitely crafted perfection and optic elegance. Local Pickup: Receive a complimentary bag of Elixir’s award winning coffee beans and a free training session at our state of the art training facility when you collect your package from Elixir HQ in Stafford. 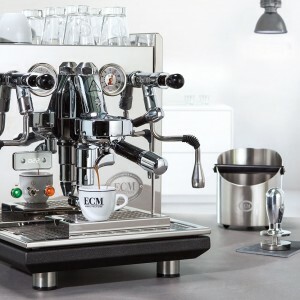 Here, our talented baristas will teach you the finer skills of using, cleaning, and maintaining your coffee machine. We can also teach you how to brew the perfect cup of Elixir Coffee! 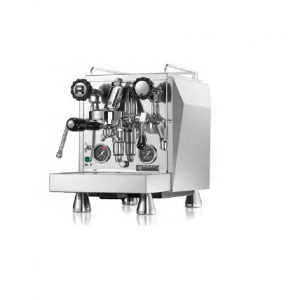 Warranty Details: The manufacturers of the coffee machine and grinder provide a 12 month warranty on parts and labour. This excludes general wear and tear and machine servicing. To arrange your in-store purchase and free coffee training session, Call Elixir Coffee Roasters on +61 7 3356 5652.